After growing up on a farm in Virginia, Walthingham Hall in England seems like another world to sixteen-year-old Katherine Randolph. Her new life, filled with the splendor of upper-class England in the 1820s, is shattered when her brother mysteriously drowns. Katherine is expected to observe the mourning customs and get on with her life, but she can’t accept that her brother’s death was an accident. A bitter poacher prowls the estate, and strange visitors threaten the occupants of the house. There’s a rumor, too, that a wild animal stalks the woods of Walthingham. Can Katherine retain her sanity long enough to find out the truth? Or will her brother’s killer claim her life, too? I was really drawn to this book with the promise of a gothic atmosphere and that cover. I found this book readable and an enjoyable read for the most part though it was predictable. 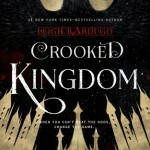 I think my biggest issue with the book was my complete lack of connection to the characters. I wanted to be invested in their lives but for some reason I never was. The main character, Katherine, should have been likeable but I really never felt much towards her. She seemed a bit one dimensional to me and I never got a deeper sense of who she was. I’m not sure if it was in the short length of the book or the writing but things felt a bit face value. The story line itself was okay but I was able to see what was going to happen before it was revealed. 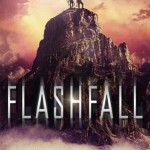 Overall, some scenes felt overly long and others rushed. There are two romances in the book (not a love triangle really) but neither really gripped me. One character, the lawyer, seemed to have more to him and I think I could have really liked him if he’d been more part of the story and if he’d been delved into a bit deeper. Though there was a bit of chemistry between Katherine and him it never took off or really engaged me. The ending felt very rushed and things were wrapped up a bit too neatly. I felt that perhaps if the novel was longer we could have had more detail and character development that would have engaged me further. As it was, I was able to read this novel in a short amount of time and was interested but it was nothing I think will stick with me or creep back into my thoughts. 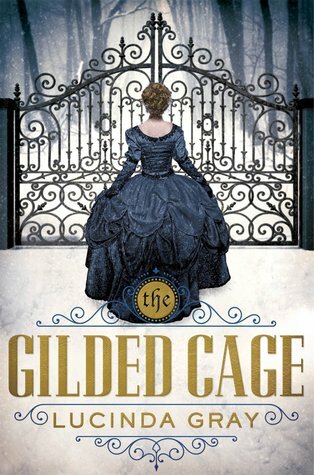 Sadly, for me, The Gilded Cage, wasn’t a book that really felt original or will stick with me. Nothing about the book was bad, per se, but nothing stuck out as being all that amazing. I could see where things were going early on and picking out the ‘bad guy’ was fairly easy and clear early on. The book did deliver on some creepy scenes and the writing was very readable. 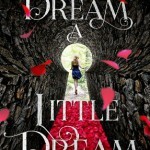 This was one of those books I think I might have enjoyed more if I wasn’t such a heavy reader in the young adult genre. The cover is GORGEOUS on this book just like you said! but i’m kind of bummed that you didn’t get on with this one so much! thanks for the honest review though!! I could totally see myself having picked up this book for the cover alone, but I think i’ll avoid this one now! Too bad this one was so disappointing. The cover is gorgeous and the premise sounds intriguing, if not super original. I think I’m going to have to give it a go, anyway, but I’ll do so with caution. Thanks for sharing your thoughts! You should give it a go! I’ve seen a good amount of folks really enjoying it! This is the third time I’ve seen a not-so-great review of this book, so I’m guessing it really isn’t worth picking up. It’s hard to enjoy a book when it’s that predictable and even the characters aren’t that great. Thanks for the review, this helps! Oh no. It was rather short- I almost think that some more pages would have improved this one. Everything felt a bit face value?